One day I was browsing the MAC website, as per usual, and bam. I saw it. MAC has finally released a flat top foundation brush! 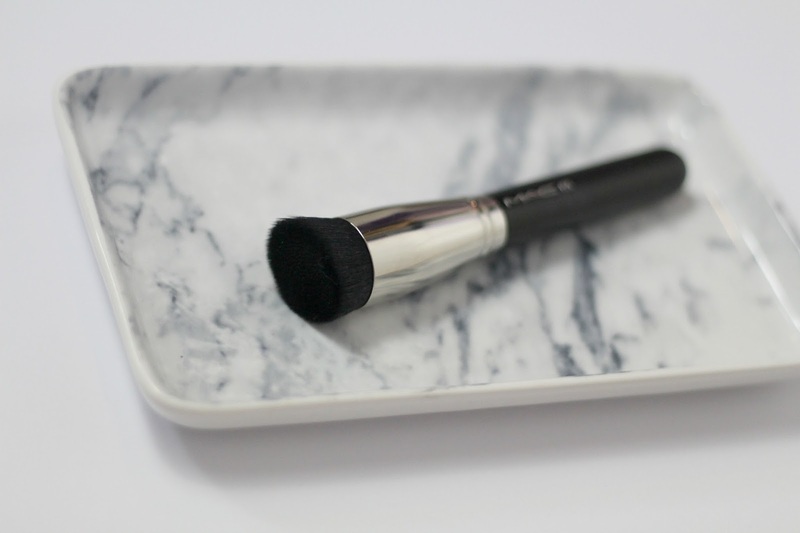 I'm the biggest fan of MAC brushes, although they may be a bit on the pricer side I think they make up for it in quality and I do believe a good MAC brush can last you for years! 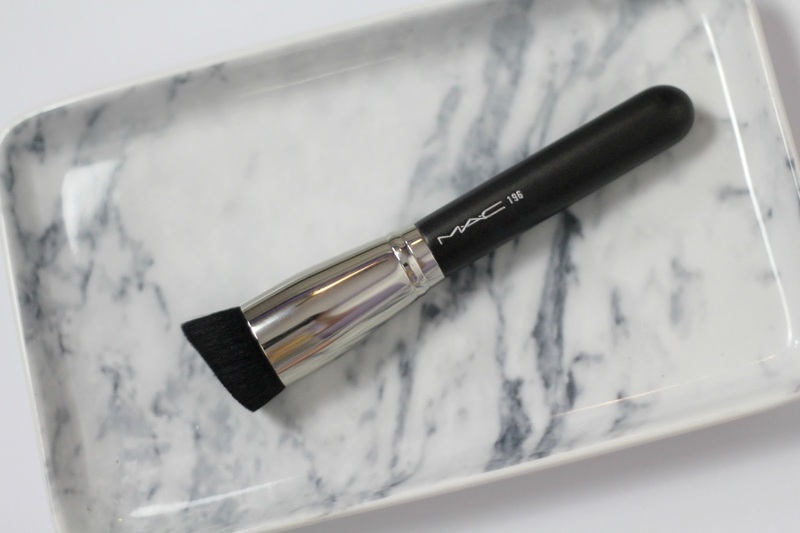 However, I have always thought that the brand has been lacking on the foundation brush front.. I mean does anyone even use those weird paint brush looking foundation brushes anymore? I was so happy that I ordered it straight away, which brings me back to writing this review. The shape of this brush is quite interesting, it's angled which I think helps the brush cling to the contours of your face (giving an even application). 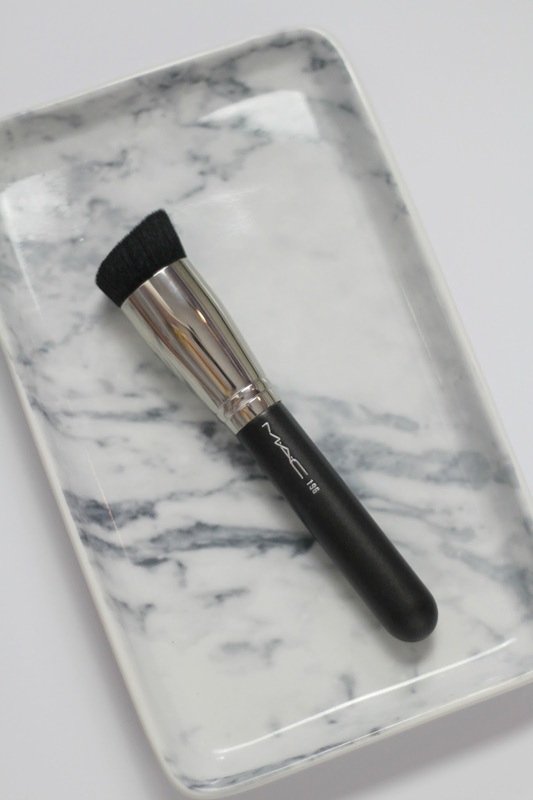 It's a good size too, compared to the MAC 130 brush that is tiny and takes about an hour to apply product to your face! One of my biggest annoyances about the MAC 130 is that it sheds all over your face, and nothing makes an early morning worse than being a tickled by a runaway brush hair that you cannot locate!! I can happily confirm that I have seen no shedding with the MAC 196 brush. I believe that this is because the brush hairs are very densely packed together. 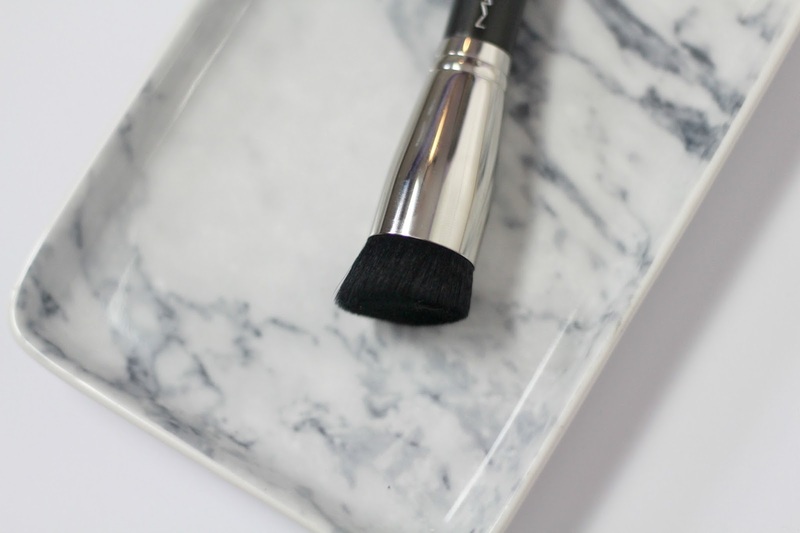 I love how my foundation looks when I use this brush to apply it! Because the brush is dense you don't loose any product into the hairs of the brush which gives you a very airbrushed looking finish (whilst saving you a few pennies). Although the brush is dense, it doesn't tug on the skin, it glides along it which actually feels quite relaxing! It blends out foundation fast and seamlessly which are 2 qualities that I value most in a foundation brush. So to sum it all up, I love love love this brush so much and it is easily my favourite foundation brush ever! I also filmed a review/demo on my youtube channel so if you want to see the brush in action the video is linked below!